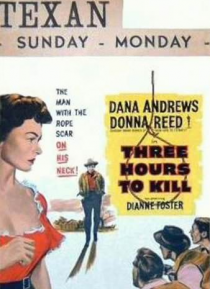 Dana Andrews turns in a delightfully tough performance as a cowboy wrongly accused of killing his former fiancee's brother. An angry lynch mob strings him up, but rather than killing him, they let him loose to prove his innocence. Noose-scarred, he turns coldblooded and hunts down the real killer.